If you were anywhere near Oxford Road in Manchester last Friday, you might have spotted a huge queue snaking out of the door of a certain new food place. 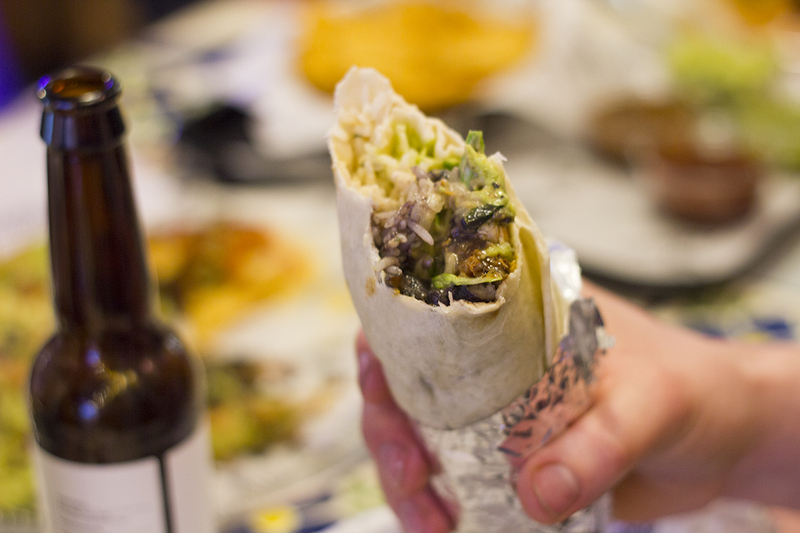 Where there’s free burritos on offer, the people of Manchester will most certainly turn up! 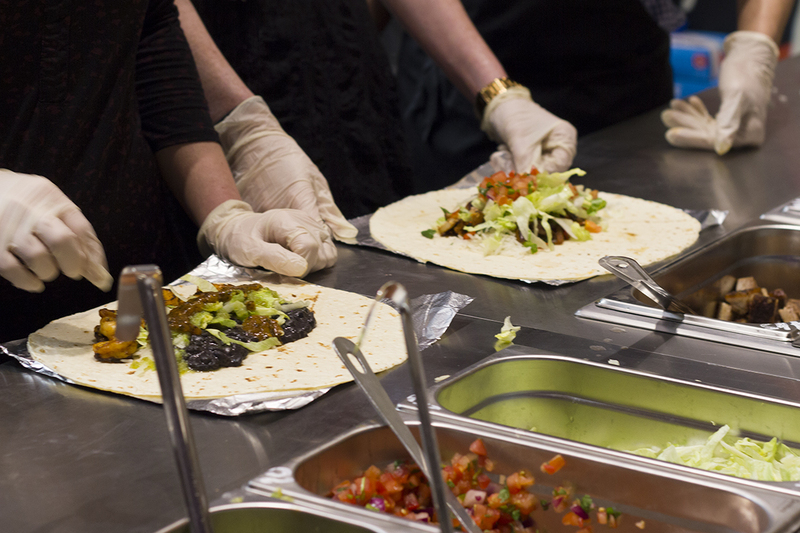 Thankfully, I managed to avoid the huge queues and was treated to a VIP launch night on Thursday with co-founder Eric Partaker and a few other members of his equally passionate team, so Mat & I could see whether their burritos were worth the hype. The restaurant, located near where Oxford Road meets Portland Street in Manchester, is pretty rough around the edges. 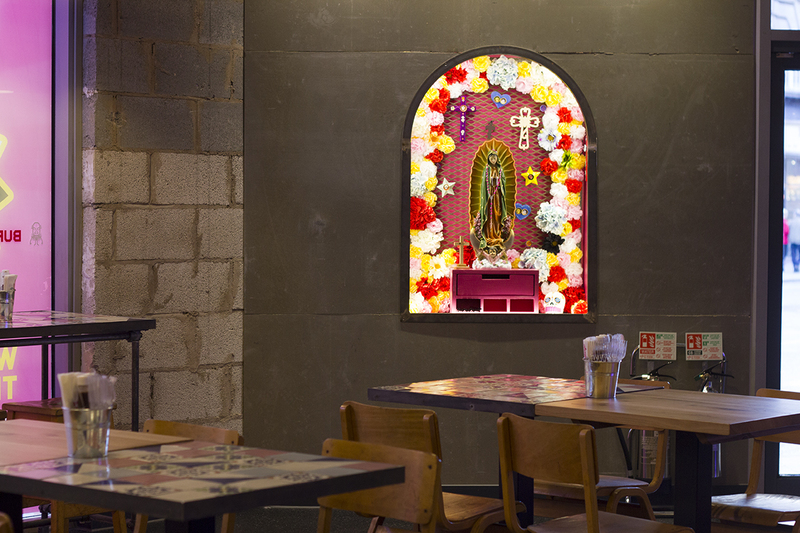 There’s the usual concrete walls and exposed pipework, but there’s plenty of colourful touches that inject a good dose of personality into the place. 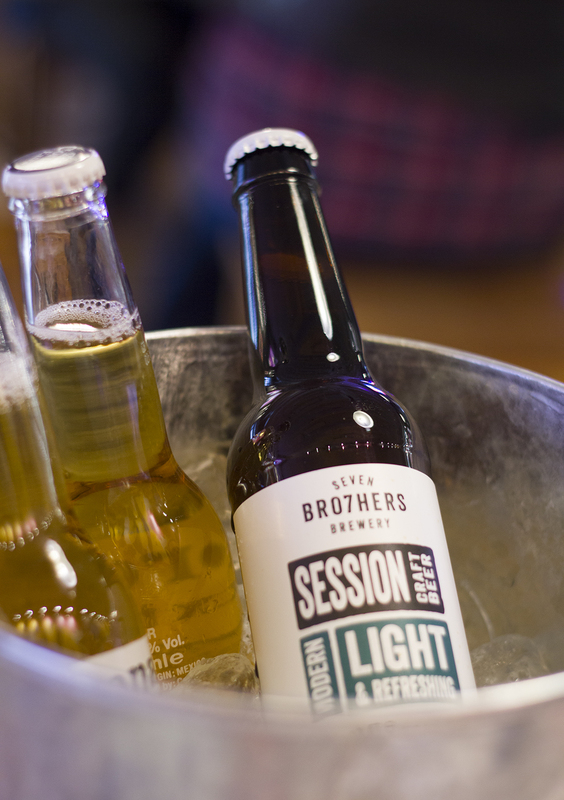 They’re all about that ‘Friday night feeling’ of finishing work and grabbing a quick bite to eat and some beers with your friends. The foosball table is a nice touch too and I managed to humiliate Mat with my mad skillz… or maybe it was just mad beginner’s luck and a healthy dose of cheating! 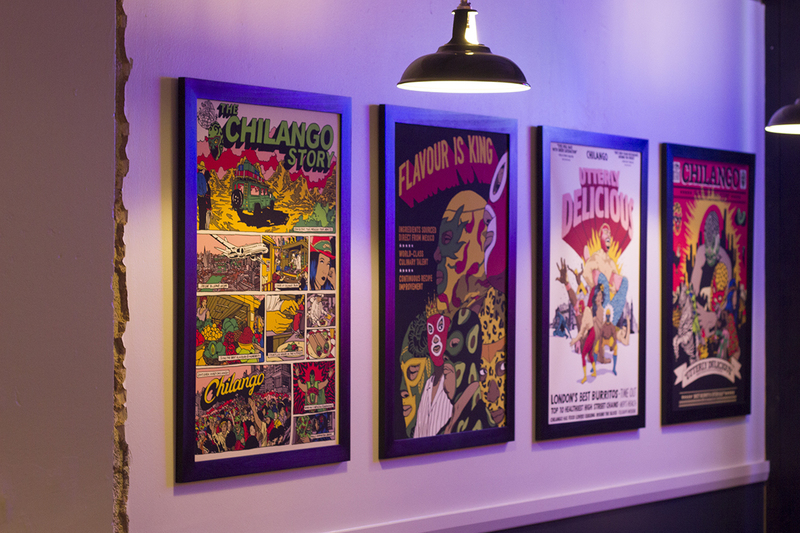 Once we’d had a little intro to the Chilango brand, scoffed too many nachos and had a beer or two, we were let loose in their £80k kitchen to craft our own burritos. 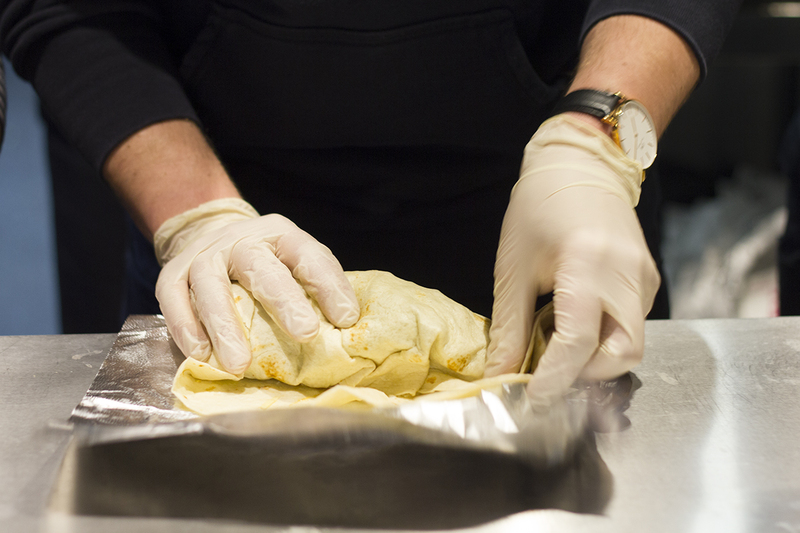 Mat is a huge burrito fan, so I let him take the lead and build our burritos, so to speak. Before we started, we were talked through the ingredients they use and how Chilango ensure that the food is as fresh as possible. They don’t leave anything to linger too long, constantly replenishing the meat, beans and toppings with fresh supplies. I opted for the steak, which is grilled to order (as are the prawns). Mat went for the chicken, which is marinated to ensure maximum flavour. He then layered both burritos with black beans, shredded lettuce and salsa, before finishing off with the all-important guacamole and a splash of sauce. I’m now convinced Mat has spent some time living in Mexico because he sure knows how to wrap a good burrito. The job offers were flooding in from Chilango staff members, so we had to make a quick dash back to our table! Even though I was skeptical at the start, with my favourite burrito place located across the road from Chilango, I actually really enjoyed their offering. 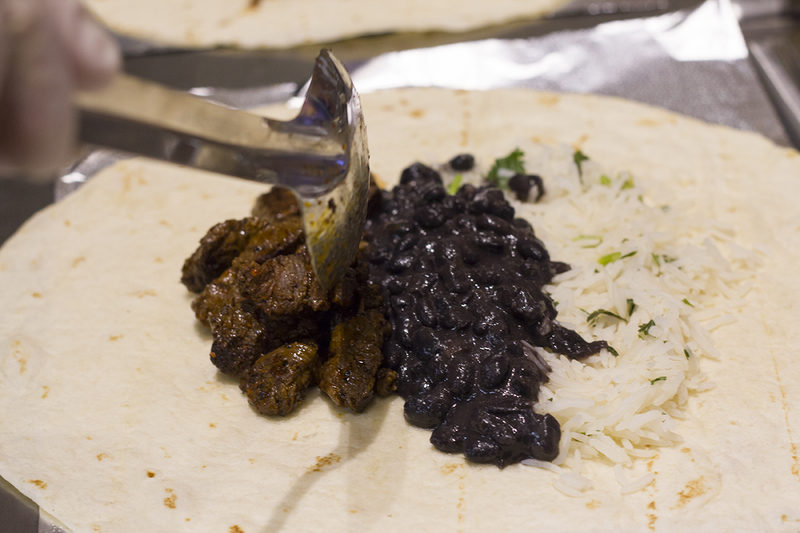 The burritos had fresh, flavoursome ingredients and the staff were clearly very passionate about making great food and creating a fun atmosphere for customers. 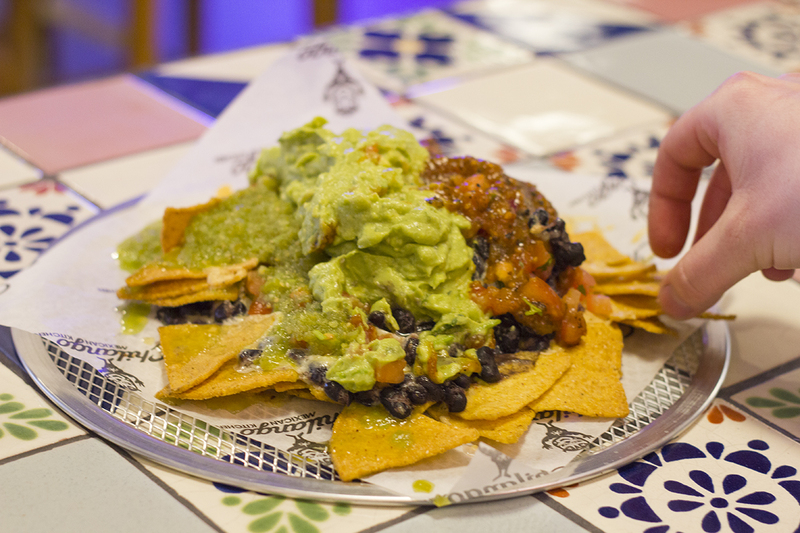 Chilango has just arrived on Oxford Road, Manchester, but they also have lots of restaurants in London. 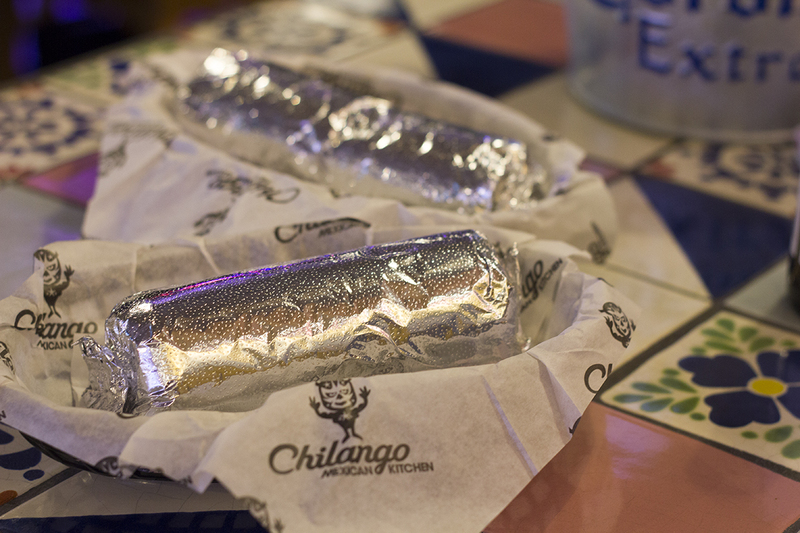 Find your nearest Chilango here for burritos and good times. 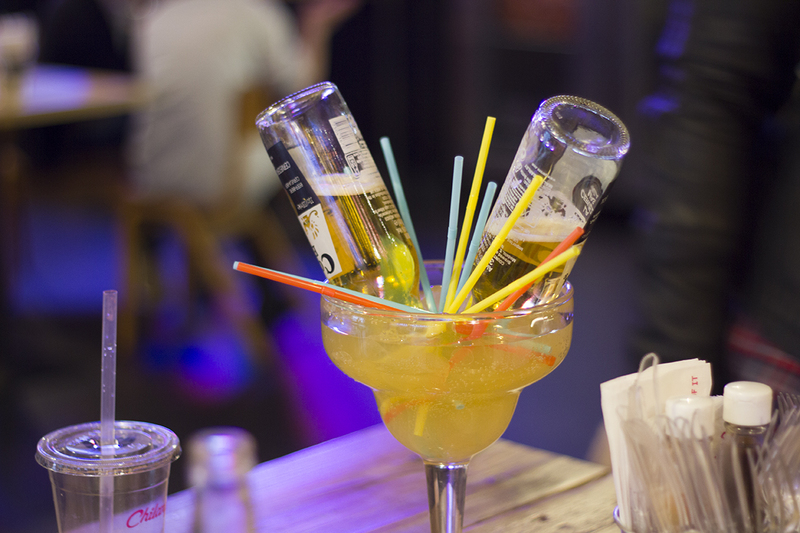 Disclaimer: Food & drinks were provided complimentary of Chilango for their VIP launch night. All burrito-loving thoughts & opinions are my own, as usual.